Mobund the publisher of M-Indicator has updated the App to feature the new Central Railway timings which were changed with effect from December 2014 and also to feature the Metro Railways timetable. It has also added a Connect to RPF button to ensure the safety of women passengers travelling alone in Mumbai’s local trains during odd hours. The App has been linked with the Railway Protection Force to call for help in case of emergency. 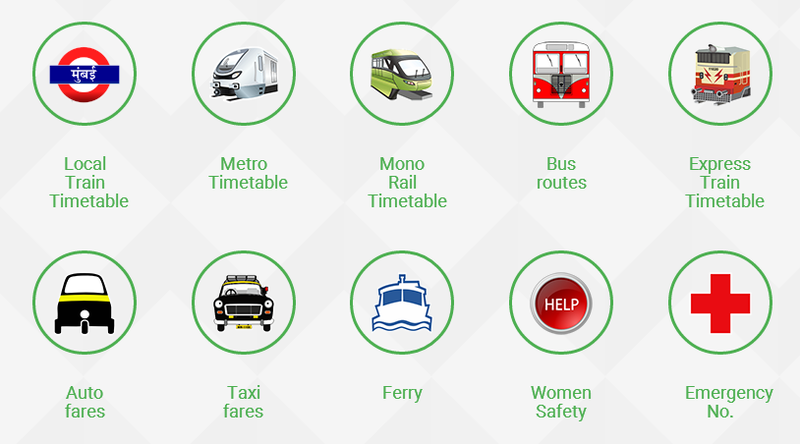 Passengers have to use the app to register their name, contact number besides that of their immediate family members/friends using the help function on m-Indicator. After registration a new Safety icon is created on the screen. Passengers may also register the coach details and the train they are boarding, if they are travelling on a long distance journey, through the upgraded App. Women in distress are advised call the RPF helpline number 1311 through the m-Indicator. This will send the passenger location, boarding train and coach details of the women in distress to the authorities making it easier for them to come to rescue immediately. The App will also send simultaneous messages to the victims relatives through SMS containing details of the passenger’s location. If a passenger is unable to dial a number or pick up a call in an emergency, they may press the help button on m-Indicator and send an SMS to their immediate family members/friends seeking help. If the registered family member/friend calls twice and does not receive a response while trying to contact the passenger between 9 pm and 8 am, he will receive an SMS containing details of the passenger’s location.